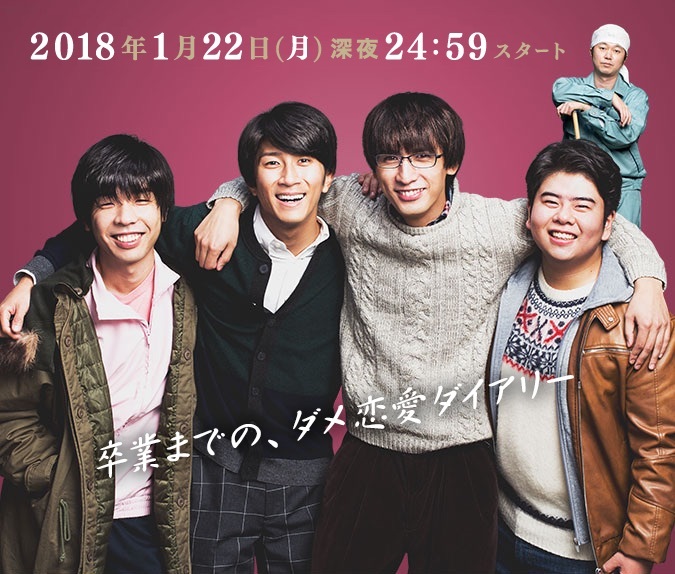 Gaku Horiguchi (Ryusei Fujii), Mao Yonezawa (Takahiro Hamada), Koki Ita (Koki Maeda) and Jun Jin (Yasunao Yoshida) are friends and they all attend the same prestigious university. They have spent most of their time studying and they have 90 days before their graduations. They struggle to meet women who fit their ideal types.